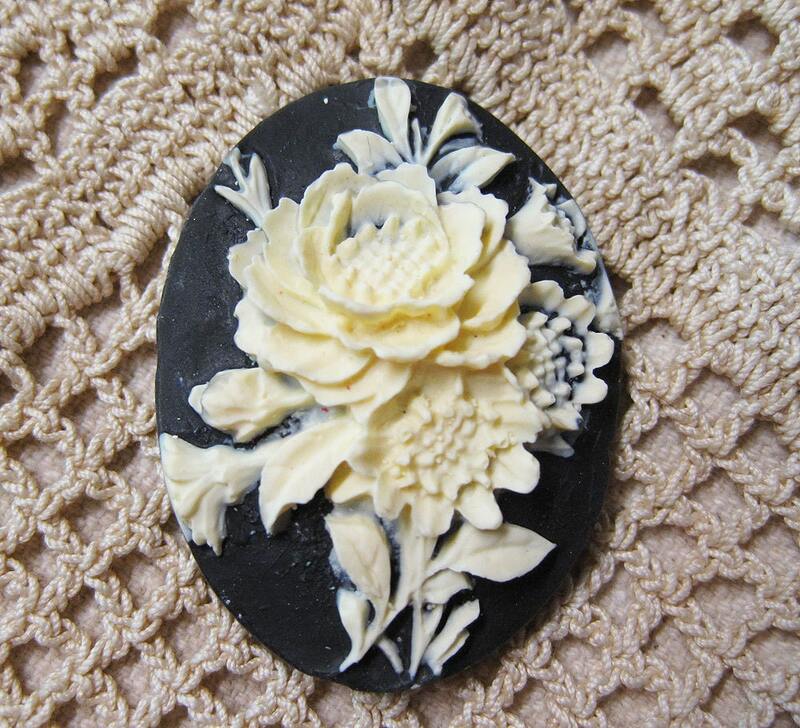 Flat back cameo with a beautiful ivory rose in the center and a black background. 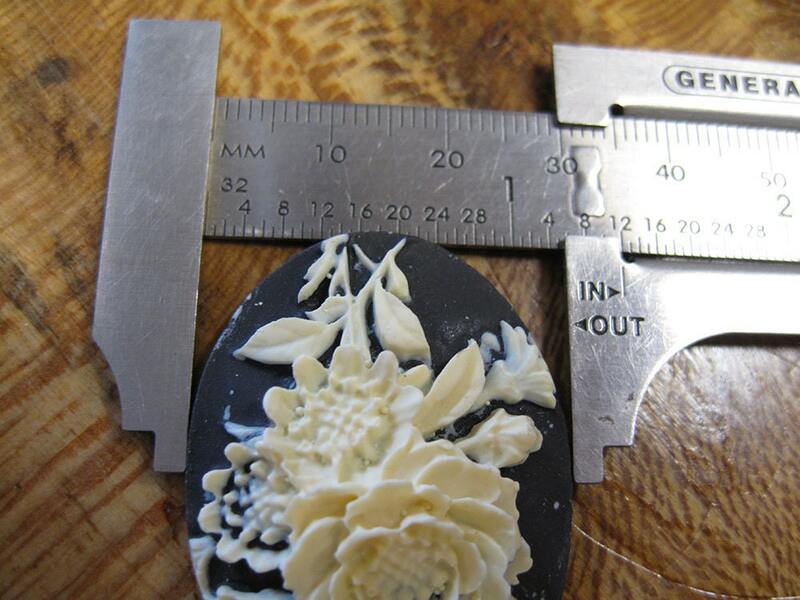 The size of the cameo is 40x30mm (around 1-1/2x1-1/4 inches). 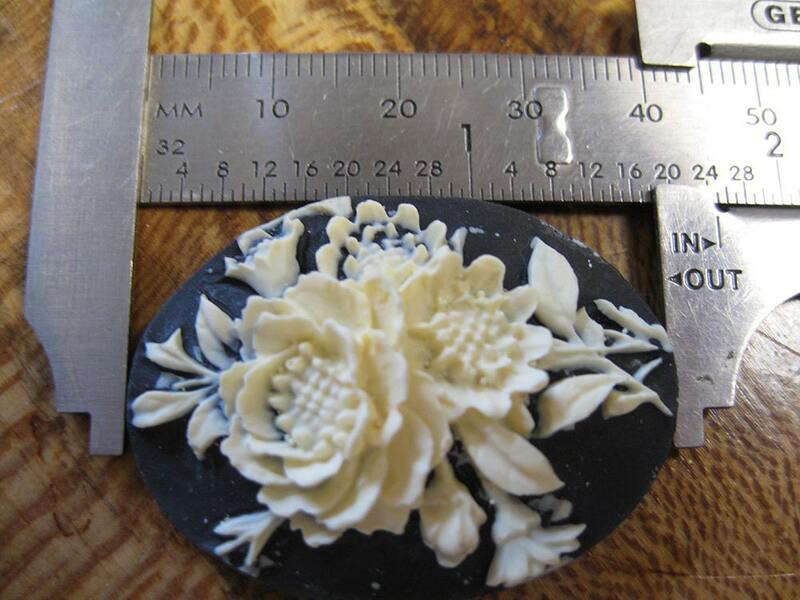 This cameo can easily be made into a pendant by bead weaving, adding your own setting, wire wrap or glue-on a bail. Size: 40mm x 30mm. Material is resin (plastic). Beautiful cameos at a great price! Beautiful quality. Safely packed with fast shipping. I really love my whole order! Love these cabs! They are just beautiful.